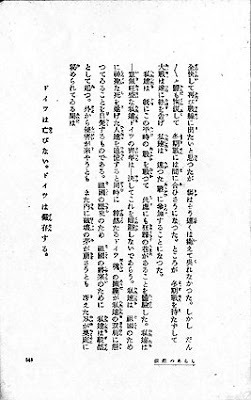 Last page of the text ends (translated from the 1924 edition): "Germany lives and Germany shall never go under." 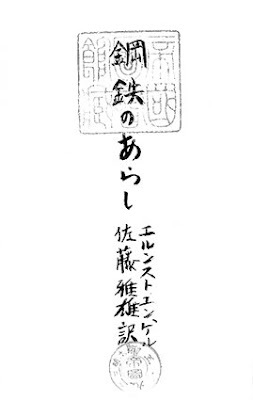 Inside the publisher's square stamp - a rider with sword, helmet and shield - is a round stamp of approval. 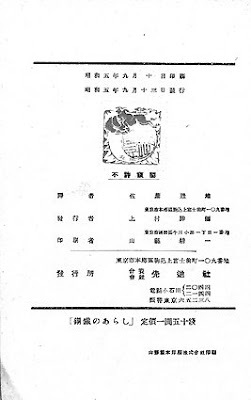 The Japanese edition from 1930 is extremely rare. Furthermore, it is printed in a script system used up to the WWII and requires a quite an effort for a reader not familiar with it. 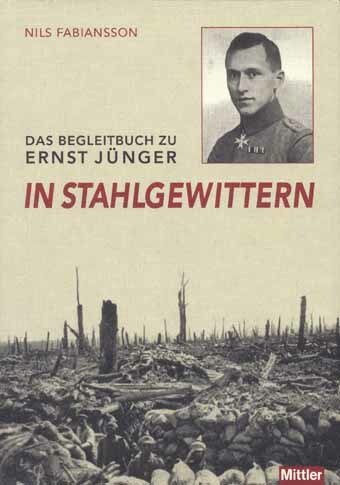 Interestingly, and so far unknown to Ernst Jünger's bibliographers, the Japanese edition of In Stahlgewittern was intended for youth or/and uneducated readers, with furigana characters printed alongside the kanji, to show how the characters are pronounced. Kasumi Kobayashi with the blog La bibliothèque secrète d'un ourson! See also posting at Notebookism!